NOTE: Shipping costs apply to all products. Wisconsin residents add 5.5% sales tax. 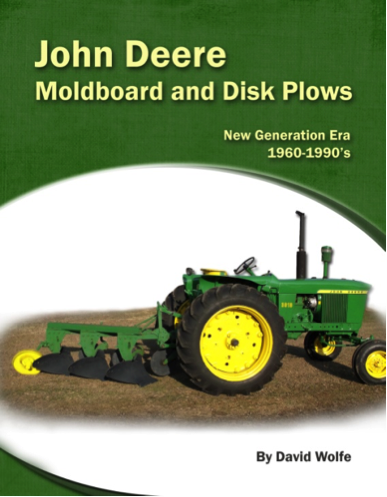 Stepping into the new generation of plows, this book covers Moldboard and Disk Plows, and includes information and pictures about drawn plows, integral plows, semi-integral plows, two-way plows, disk plows, and plow bottoms. I have included detailed illustrations, modle numbers, and parts. 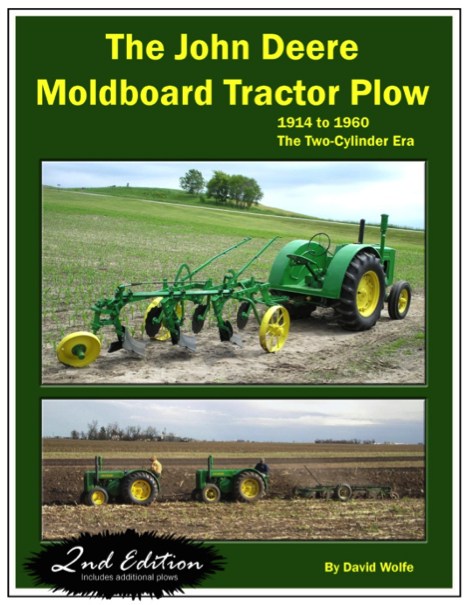 The John Deere Moldboard Tractor Plow: 1914 to 1960, was written to satisfy the many questions of how to identify a John Deere tractor plow. When we started selling the first book; Plows & Plowing, many people began asking what model of plow they had and what the correct tractor for that particular plow was. This book was created to answer those questions. It is a data book of the plows manufactured during the Two-Cylinder era. In 2012, we published the revised 2nd edition, with 12 additional pages. Cost: $29.93 + $6 shipping/handling. After writing a few magazine articles, I felt that the best way to share my knowledge of plows fully, would be to write a book; Plows & Plowing is the result! 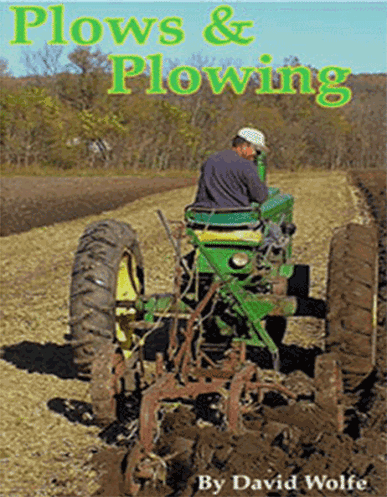 This book is a reflection of my forty-two years of plowing. 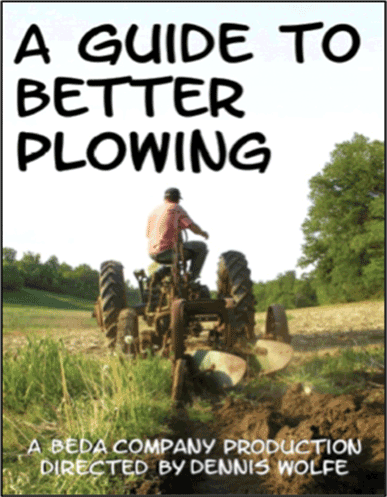 A Guide to Better Plowing was produced to guide you through the plow setup process in a way that could be applied to all makes and models of plows. It covers both tractor-drawn trailer plows, and mounted plows. It includes guidelines to pair your tractor with the right size plow. The video has helpful suggestions on determining the make of the plow, how to start a field, and tips for plowing perfection. Possibly the best most complete setup information available anywhere! The 4L’s of Plowing Setup introduced in the video, will break the setup process into 4 easy steps and will have you plowing in no time at all. The video features the beautiful scenery of Waumandee Wisconsin. Cost: $25.00 + $6 shipping/handling.